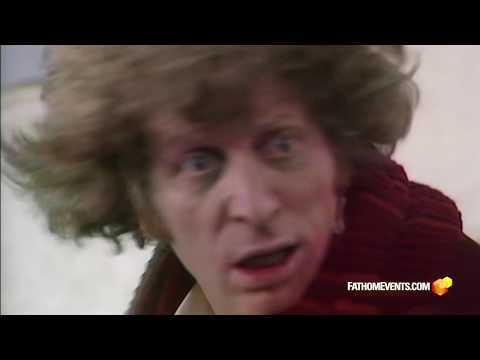 Audiences now have the chance to see the Fourth Doctor, Tom Baker’s 100-minute final adventure, “Logopolis,” on big screens nationwide. The Doctor Who episode features the first appearance of companion Teegan, played by Janet Fielding, Anthony Ainley as the Doctor’s archenemy, The Master, and the regeneration of Fourth Doctor, Tom Baker into Fifth Doctor, Peter Davison. In addition to the feature content, fans will also get an exclusive look at a brand new interview with Tom Baker and companions Janet Fielding and Sarah Sutton. Following the cinema event, Tom Baker’s complete final season on Doctor Who comes to Blu-ray on March 19.